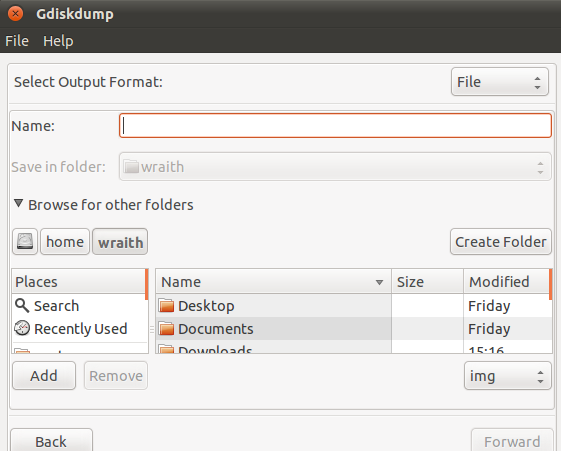 Gdiskdump is an open source Graphical User Interface for the dd command. 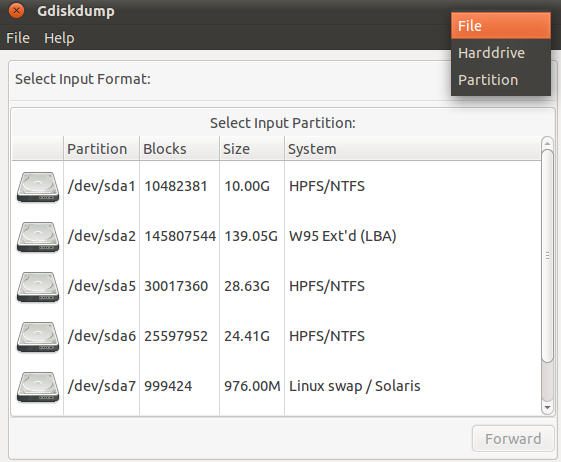 It makes easy to backup your Harddrive or Partition. It’s a good choice if you hate command line, especially the complex parameters. Download .deb package for gdiskdump from https://launchpad.net/gdiskdump/+download. The version 0.5 .deb Package is working on 10.10 Maverick, 10.04 Lucid (x86 and amd64) and below. The version 0.7.1 .deb Package is working on 11.04 Natty (x86 and amd64) and above. 1 user responded in " gdiskdump – clone or image Partitions,Disks and Files in Ubuntu "